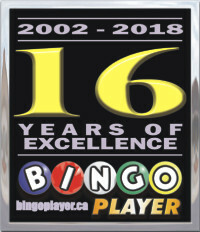 DON’T SEE YOU FAVOURITE BINGO HALL LISTED? If you don’t see your favourite Ontario Bingo Hall on our site, please let us know. While we’ll have an easier way for our website guests to leave comments and contact us in the near future, you can CLICK ON THE BLUE MAIL ICON, AT THE BOTTOM OF THIS PAGE. Give as much information as possible, so we can get working right away. We will make every effort to contact the Hall’s Owner/Operator and get their information listed. As a Bingo Player, you can also help us achieve this goal by letting the Hall’s Owner/Operator and Head Manager know that you would like to see their information on our website. Everyone knows that some Bingo Players don’t mind traveling to try something new!